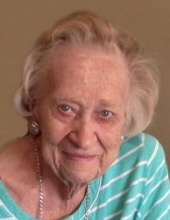 Doris L. Margraf, 92, of Fostoria, passed away at 10:10 pm Saturday March 16, 2019 at Taylor Place, Findlay where she currently resided. She was born December 19, 1926 in New Riegel to the late Clarence and Corine (Wuebbe) Huss. She married Daryl W. Margraf July 13, 1946 at St. Wendelin Catholic Church by Rev. Urban Hoying. They shared 60 years of marriage until his passing in 2006. Surviving are two daughters, Janet M. (John) Derck, Sylvania and Debra A. (the late James) Risner, Arcadia; five grandchildren, Amy (Jason) Ziegler, Amanda (Steve) Varga, Matthew (Emily) Risner, Kelly Risner and Katie (TimTea) Risner; eight great-grandchildren, Jacob and Morgan Ziegler, Quentin and Bennett Varga, Jackson and Nolan Risner and Alex and Adleigh Tea. She was preceded in death by a daughter, Sharleen; great-grandson, Ethan Varga; son in law, James Risner; and step brother, Harold Smith. Doris was a homemaker. She was a faithful member of St. Wendelin Catholic Church and 1944 graduate of St. Wendelin High School. Doris dearly loved her family, and looked forward to the holidays and occasions to be together. Visitation is Tuesday March 19, 2019 from 2-4 & 6-8 pm at HOENING & SON FUNERAL HOME 133 W. Tiffin St., Fostoria, OH 44830 where a Christian Wake service will take place at 7:30 pm. Funeral Mass is 10:30 am Wednesday at St. Wendelin Church with Rev. Todd Dominique presiding. A Rosary will be prayed 10 am at the church. Burial will follow in St. Wendelin Cemetery with a funeral luncheon then being held in St. Wendelin Parish Hall. Memorials are suggested to St. Wendelin Church or Heartland Hospice c/o the funeral home. To send flowers or a remembrance gift to the family of Doris L. Margraf, please visit our Tribute Store. "Email Address" would like to share the life celebration of Doris L. Margraf. Click on the "link" to go to share a favorite memory or leave a condolence message for the family.